chorizo sausage, skinned and diced Archives - Adelaide Central Market: The City of Adelaide's premier food destination. Over 70 traders under one roof. Heat olive oil, onion and garlic in a large deep sauté pan, over a medium low heat. Cover and cook for 10 minutes, until onion is soft. Add smoked and sweet paprika, and chorizo to onion mixture, increasing heat to medium. Cook for 5 minutes, stirring occasionally. Add sherry to the pan and reduce by a half before adding tomatoes. Cover and cook for 10 minutes, before seasoning well with black pepper. 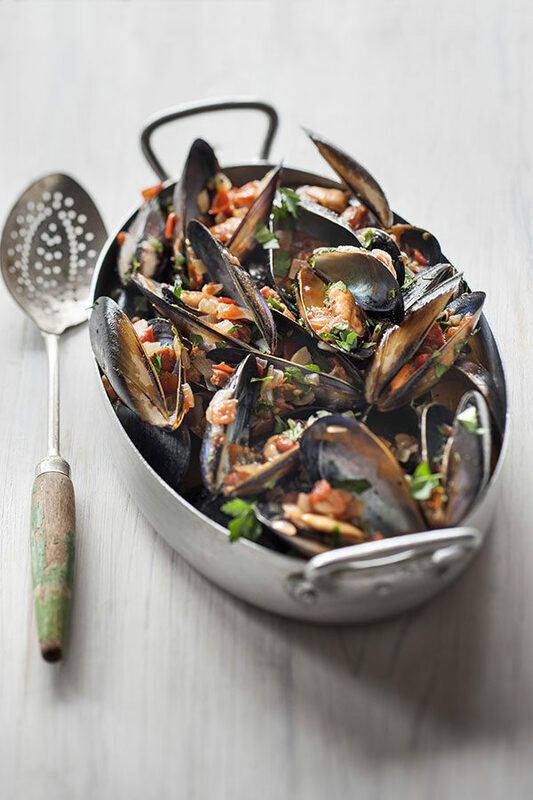 Finally add mussels to pan, cover and cook for 5 minutes or until shells open. 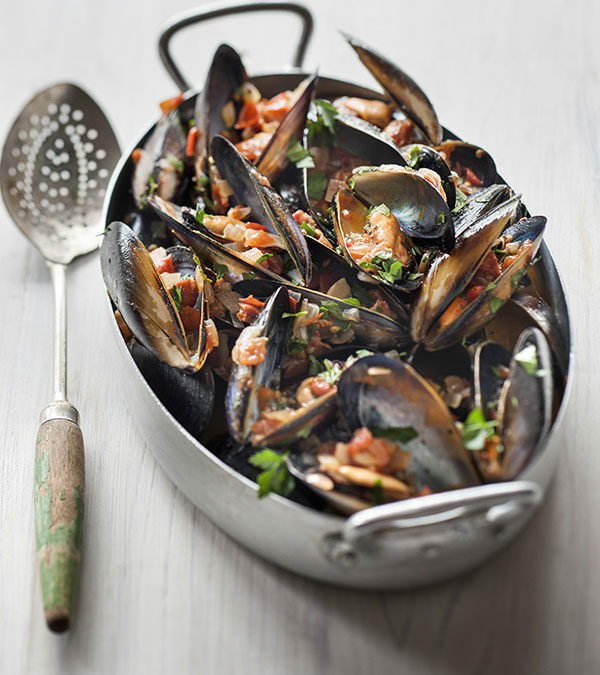 To finish, sprinkle over parsley and serve with crusty bread. and cook for 10 minutes, until onion is soft.